An online Twitter chat about trips available through YFC Travel reached more than 70,000 people last night thanks to interactions from members, clubs and counties. Using the hashtag #yfctravel, NFYFC asked questions about the trips to both interested travellers and those who had already been on an adventure with YFC. Questions ranged from concerns about taking time off work and funding to what happens on Selection Day. More than 50 tweets were generated during the discussion with retweets and supportive messages from clubs including Farnley YFC and Abingdon YFC. Members from the Junior Farmers' Association of Ontario also joined in the conversation to encourage members to visit Canada. @GilkesElizabeth: @nfyfc Really want it for the unique travel opportunity being offered and let your passion shine through. 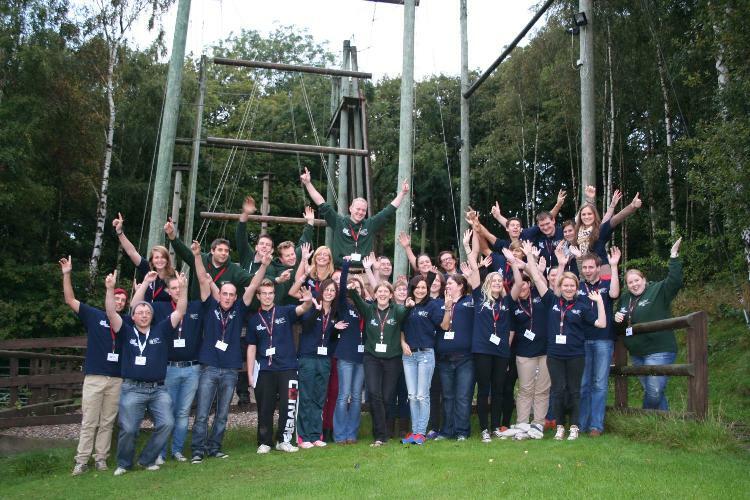 For others it was a chance to just tell the world how fantastic their time had been on a YFC Travel trip. @iwan_melon: @NFYFC @JFAO_ went on jfao homestay in summer 2005, absolutely great experience, would recommend to anybody! For a full list of the questions and answers that were on the Twitter YFC Travel chat, click here. For more information about YFC Travel click here or call Emily Johnson on 02476 857218 or email Emily.johnson@nfyfc.org.uk. 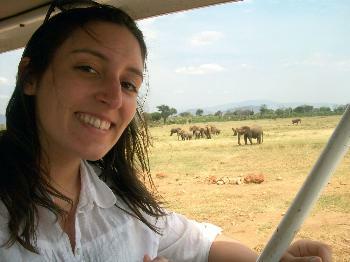 Remember the application deadline is 15 November 2013 for trips in 2014, so don’t miss out. While clubs across England and Wales are enjoying harvest suppers, Young Farmers were also represented at a special service to Celebrate the Harvest at Westminster Abbey. 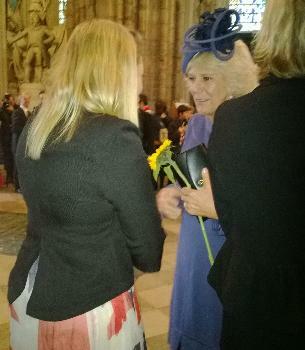 NFYFC’s Chairman of Council Milly Wastie gave a moving reflection on farming at the service, where actor Martin Clunes and Her Royal Highness The Duchess of Cornwall were also present. The service was held as part of British Food Fortnight's campaign to rekindle the tradition of celebrating the Harvest. Martin Clunes, television's Doc Martin, read from St Matthew 6, verses 25-33. Martin is a passionate advocate of the countryside and owns a farm in West Dorset from where he runs Buckham Fair, a traditional countryside fair. Damian Lewis, the actor most well-known for his Golden Globe and Emmy winning role as Nicholas Brody in the television drama Homeland, read a new harvest poem that was written especially for the service by the BBC and Channel 4 sports poet, Henry Birtles. The Bishop of London, The Right Reverend Dr Richard Chartres, gave a special address. The Secretary of State for the Environment, Food and Rural Affairs, Owen Paterson MP, read from Deuteronomy 8, verses 7-18. The winner of British Food Fortnight's competition to find a new harvest anthem - a modern day ‘We plough the fields and scatter’ - also attended the service.Bryony Muir, a member of the Scottish Association of Young Farmers’ Clubs, was chosen as the winner for her song ‘Harvest Time’. The song is a light-hearted account of farmer Bryony dreaming of harvest in Canada, Texas and France, but then concluding that she is thankful for the advantages of farming right where she is “I think I'll stay a farmer in this green and pleasant land”. The Nave of the Abbey was filled with harvest boxes of goodies children had grown and cooked themselves. All the produce was collected from the Abbey by the Fullers dray horses and distributed to those in need by the Royal Voluntary Service. 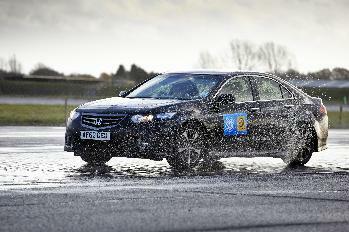 Torrential rain provided challenging conditions for the last 2013 YFC driving course, where members’ driving skills were put to the ultimate test by pro racing drivers in Buckingham. As the rain lashed down, members took their cars out on a circuit at Finmere Aerodrome with experienced racing drivers who passed on advice about speed, road positioning and handling skid situations. The course was funded by NFU Mutual as part of the NFYFC’s Drive it Home campaign. 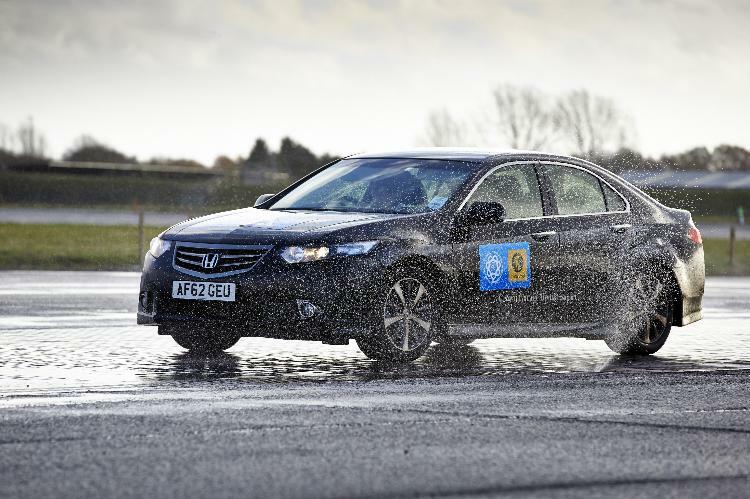 Members only had to pay £10 (RRP £99) for expert tuition on rural roads, car maintenance advice and sessions on a skid pan activity course with a tutor from Drive Doctors. For Hannah Alexander from Aylesbury YFC in Buckinghamshire, it was a chance to learn some essential skills after crashing her car last winter. 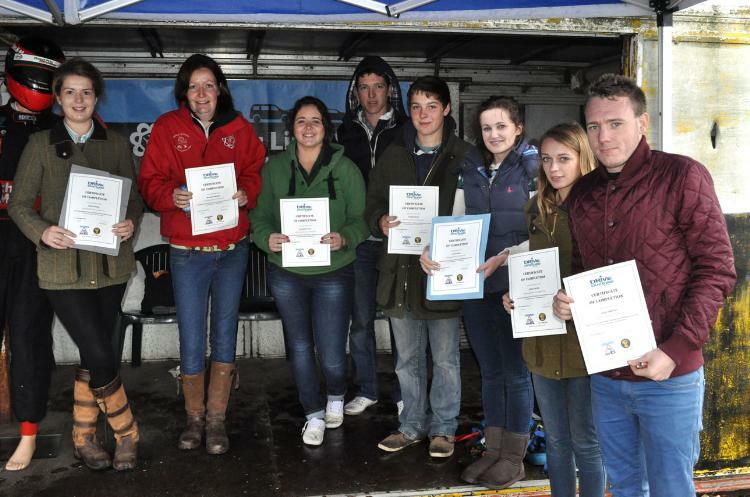 Angharad Evans and her brother Daniel travelled to the course from Glamorgan YFC in Wales after hearing good feedback about the other courses. “When the car started skidding, I would never have thought to bring it back round, I would have just let it go. It has made me think twice. I would come on it again and I would encourage people from my county to have a go,” said Anghared. The YFC driving course was the last one to be funded by NFU Mutual but if counties want to arrange a course in their local area, they can contact Drive Doctors direct to make arrangements. The taster courses are priced at £99 per person but requirements should be discussed with the Drive Doctors team. Young entrepreneurs are learning top business tips in Malvern this week at the Rural Youth Europe (RYE) Autumn Seminar, hosted by NFYFC. Forty young people from across Europe are taking part in the week-long event at the Malvern Outdoor Elements centre, and so far they’ve learnt how to create business plans, launch a social media campaign, and folk dance! The seminar has been planned and organised by a team of YFC members as part of RYE's annual programme of seminars and rallies held across Europe for rural young people. NFYFC was awarded the funding for the seminar by the EU’s Youth in Action programme, managed in the UK by the British Council. After getting to know each other with some team building games and an international buffet on Sunday, the participants began the week by looking at what makes the perfect entrepreneur. They profiled famous entrepreneurs, such as Richard Branson and Oprah Winfrey and examined the traits that made them successful. 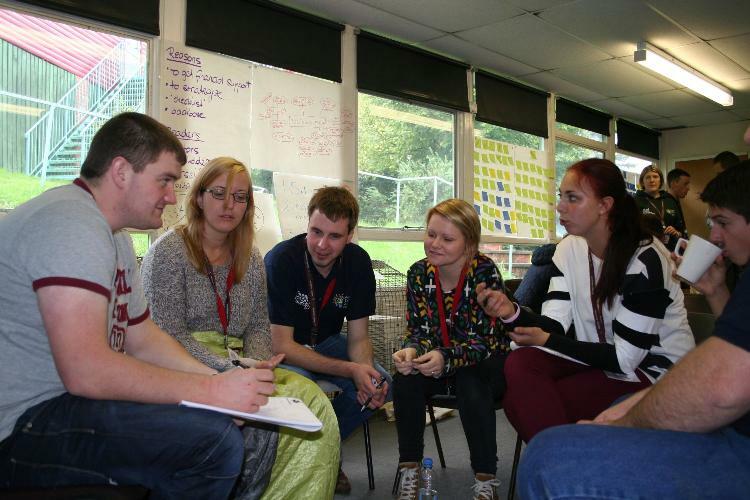 They then began to look at creating their own business plans, with a workshop run by NFYFC Life-Vice President Chris Lloyd. The group were also joined by Simon Crouch and Georgina Robinson from NatWest who are both specialists in business start-up and planning. This was followed by a session on how to make social media work for your business, with some top tips from social media expert and CEO of SocialB, Lynsey Sweales. The RYE Autumn Seminar continues throughout this week with visits to local businesses and farms, presentations from successful entrepreneurs as well as evening activities. Each participant is writing a blog about their week, and you can find the link to all of these blogs by visiting Chairman of the Autumn Seminar, Claire Worden's, blog. You can also follow all of the activity from the seminar on twitter using the hashtag #ryeas2013 and see pictures from the week so far on the NFYFC Facebook page. Disclaimer: The content of this press release is the sole responsibility of the publisher and the European Commission is not liable for any use that may be made of the information. For more information, please visit: www.britishcouncil.org or call our Press Office on +44 (0)20 7389 4268. You can also keep in touch with the British Council through http://twitter.com/britishcouncil and http://blog.britishcouncil.org/. YFC members from across Wales travelled to Cardiff to attend the Wales YFC Freshers weekend and AGM at the Millennium Stadium. The weekend hosted a Business Breakfast, the Annual General Meeting and Wales YFC sub-committee and Council meetings at the Stadium and was also an opportunity to celebrate the start of the new YFC year. 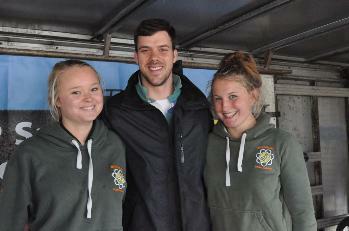 The business breakfast was hosted by the Wales YFC Rural Affairs Committee and the Business Group. Guest speakers for the event were Brian Jones, Managing Director of Castell Howell and Steve Garrett, Founding Director of Riverside Farmers Market, Cardiff. Brian Jones shared his experiences within the food industry and gave advice to audience members on how to start their own business. Steve Garrett, who is a local food activist and consultant, expressed the importance of buying local produce. Both agreed that YFC serves an important part in the future of their industries. During the AGM the winners of numerous awards were announced. Members from the Ceredigion Federation had reason to celebrate after winning the Western Mail Trophy for scoring the highest number of points in all Wales YFC programmes of work throughout the year. The Pembrokeshire Federation took home the Beynon Thomas trophy for the highest points scored by the junior members in Wales YFC programmes of work. The NFU Cymru trophy for the county with the largest increase in membership was awarded to the Ynys Môn Federation. An IPad Mini was also presented to lucky YFC member Gwenno Nefydd from Meirionnydd who won the JCP Rural Practice Team Social Media Competition. 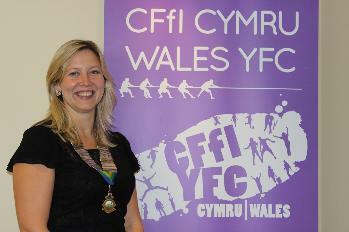 Members also elected a number of officials for the forthcoming year at the meeting with Nigel Owens re-elected as the Wales YFC president, Kate Miles of Neath & District YFC, Glamorgan was elected as Chairman (pictured) and Iwan Williams, former member of Ardudwy YFC, Meirionnydd was nominated and elected as the vice-chairman for the forthcoming year. He fought off stiff competition from Martin Roberts, Ynys Môn and Emyr Lloyd, Ceredigion. A cheque for £25,498.22 was also presented to British Heart Foundation: Cymru, Wales YFC’s 2012/13 Charity of the Year by the retiring Chairman, Gwenno Griffith. At the sub-committee and council meeting members discussed their programmes of work for the forthcoming year. Following a committee re-structure, eight new sub-committee Chairmen and Vice-Chairmen were elected to take charge of Wales YFC’s committees for the forthcoming year. Suggested measures to improve young driver safety could include night time driving curfews and a ban for novice drivers on carrying passengers under 30 years old. The report 'Novice drivers: Evidence Review and Evaluation’ suggests that implementing a Graduated Driver Licensing (GDL) system, similar to those in other countries, could result in thousands fewer casualties and save up to £447 million per year. According to the research, there could be almost 9000 fewer deaths and serious injuries on UK roads every year if changes were made to the way young people learn to drive. After passing driving tests, there would be a 12 month probationary licence from the age of 18 – during this period, drivers would need to display a green P plate. During the 12 month probation, drivers will be subject to a night time driving curfew between 10pm and 5am, unless accompanied by a passenger aged over 30. Novice drivers under 30 years old would also be banned from carrying passengers under 30 years old. While the NFYFC supports the introduction of a Graduated Driver Licence, NFYFC Chairman Milly Wastie recently met with the Road Safety Minister and the Department for Transport to highlight how the restrictions would impact on rural young people. Milly was invited to talk about the issues after working on NFYFC’s Drive it Home campaign. Members working in agriculture could be affected by the curfew – especially during peak seasons when working late nights and early mornings on farms is compulsory. For example, dairy farmers have to be at work from 4am or 5am all year round. “While we support the introduction of measures such as a Graduated Driver Licence, we ask that in the preparation of the Green paper into young driver safety, consideration is given to young people living in isolated rural areas. “Due to a lack of public transport, rural young people rely on a car to get to their place of education or work. For those with jobs in agriculture, especially during peak seasons such as harvest, they may often be required to work outside of the suggested curfew times of 10pm-5am. The Government's research backs up the findings of research carried out by Road Safety Analysis earlier this year in support of the Drive it Home campaign. To read a summary of the latest TRL research and recommendations click here.